Our Unbleached Special Pie Cookie Flour in a bulk 50 pound bag. 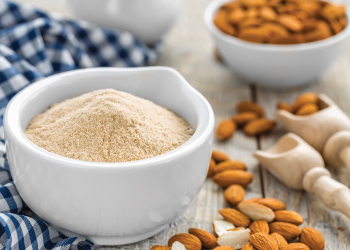 Honeyville's Special Pie Cookie Flour is milled from sound, scientifically cleaned and specifically selected soft white wheat, to produce a premium quality pastry flour. Special Pie Cookie Flour is unbleached and provides freshness, high tolerance, and simplicity. For a bleached version of this flour, try Honeyville Swiss Pastry Flour. Honeyville Special Pie Cookie Flour is an ideal product for your baking needs. Shelf-Life: Special Pie Cookie Flour will store for 1 year in a sealed 50 pound bag under ideal storage conditions (cool, dry place). Uses: Special Pie Cookie Flour is used to make cookies, donuts, cream puffs, brownies, éclairs, pancakes and pie shells, where a high quality pastry flour is required. 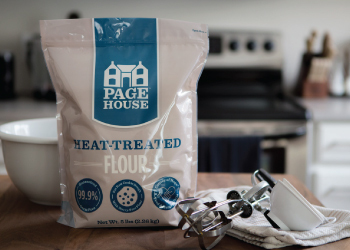 Packaging: Special Pie Cookie Flour in bulk is available in a 50 pound bag. Packaging may vary. Ingredients: Wheat flour enriched (niacin, reduced iron, thiamin mononitrate, riboflavin, folic acid).